Bella is a doll baby of a Shepherd. She's great with dogs and cats. She was surrendered to an animal shelter in Texas with her four puppies. The puppies were all adopted quickly, but she was left behind. 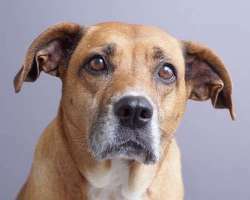 Her records indicate she is 5 or 6 years old and that her owner didn't have time for her. She is friendly, gentle girl that loves belly rubs. She is underweight at 72 lbs, so will need many small meals a day. She's very smart and depending on what your door handles are like, she may be able to open them! She's a love and just wants affection. Bella is a very sweet and easy-going girl. We have been working on that. If you think you are a good match for Bella please fill out our online application at www.saveadog.org/applytoadopt.asp. Available after 8/6/18. Butch is a tiny 8.5 lbs boy who has had a rough start. His owner abandoned him in an unheated house in the middle of winter. Some of his littermates got out and got hit on the road. Butch walks with a limp and we suspect he survived a car incident. When the vet took an x-ray of the hip he noticed a large rock in his stomach. A few days later Butch vomited up the rock and new x-rays showed he was cleared. 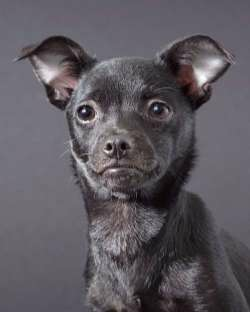 You can only imagine what this tiny one year old pup has been through that he had to eat rocks. He is the most frightened of this group but comes around quickly with a gentle handler. 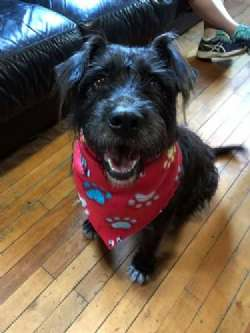 He is neutered and is a quiet boy who is very sweet. He is available on 8/7/18. He has been here since the 1st but the vet had to cancel the appointment. Cindy is a petite girl weighing in at just over 8 lbs. She came all the way from a rural area to find her forever home. She's shy and would do best with another dog to bring her out of her shell. She came in with 7 other dogs and was from the abandoned group who were left in an unheated house in the winter. She has been through a lot, so a patient adopter who can give her the TLC she needs would be best. If you are interested in adopting Cindy, please fill out our online application at www.saveadog.org/applytoadopt.asp. Available after 8/3/18. 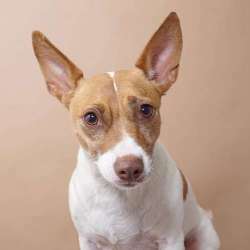 Courtney is a Jack Russell / Rat Terrier mix who is 4 years old. Her owner has dementia and won't be coming home. She is totally housebroken. She can be shy with people but warms up quickly. She seems extremely intelligent,, loves playing with squeaky toys and is very cuddly. She does always like to know where her people are Her foster mom says she is one of the easiest dogs she has ever fostered. she gets along well with other dogs.Please apply at saveadog.org so we can arrange to bring her here for you to meet. COURTNEY IS HERE ON SATURDAY 10-1! Come a little closer and look into these big beautiful eyes - yup - one is blue and one is brown. 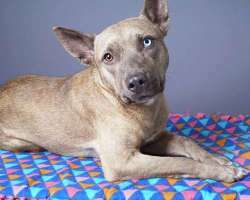 That's because I am a Catahoula-bully mix. 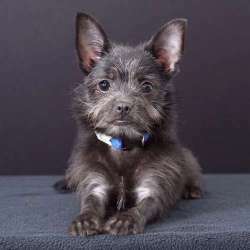 I have a thick plushy coat with brindle pattern and ears that are always perked up. I guess that's just my style! I am always ready for a nice car ride or whatever adventure you have planned for the day. I make friends pretty easily with dogs and people alike. Hercules, shown here, is one of my best friends. If you are interested in adopting me please fill out our online application. Will be available to see at Tuesday Meet and Greet 7/31/18. Eddie is a small guy weighing in at 9 lbs. He came to us from the house where the owner abandoned a lot of small dogs in the dead of winter. He is finally released for adoption and is looking for his forever home. 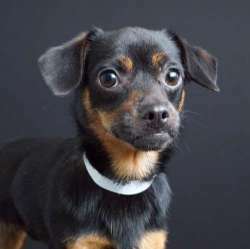 If you are interested in adopting Eddie, please fill out our online application at www.saveadog.org/applytoadopt.asp. Available after 8/4/18. Farrah is a friendly, active, playful girl. She looks like a small Dane. She was relinquished to a vet hospital in Indiana because they didn't want to bring her to the shelter. She likes to chase her toys and relax with a chew bone. 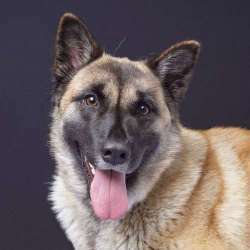 She is respectful of the older dogs in the home and plays well with sharing balls and toys. She needs some help with house training still, but she is good in the crate and sleeps in her crate overnight. If you put just a little training into her she will be an awesome dog for life. If you are interested in adopting Farrah please fill out an online application. She's great with kids and has been with ages 7 through 14. Will be available to see at Tuesday Meet and Greet 7/31/18. 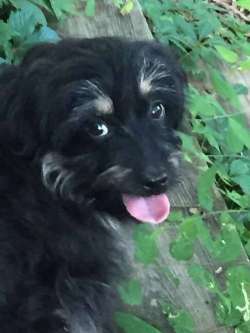 Jingles was found in a culvert in Louisiana, rescued and brought up to date on vaccines. 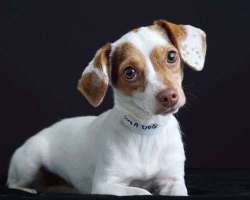 He's an adorable pup who will need a good schedule and positive training and the security of a knowledgeable adopter who understands abandonment issues of many of these rescued dogs. A local home is preferred so that we can ensure a successful adoption. He's months old. Available Sat 8/11. Mason, Mikey, Monica, and Myrtle came up from Louisiana on 8/6/18 to find their forever homes. Please be a stay-at-home and live local to Sudbury so we can keep in close touch. Apply online. No phone calls please. Available 8/9/18. I'm a laid back boy from Texas. I like to play and chase tennis balls, but I also enjoy a leisurely walk on my leash. I also love to go for car rides and take in the scenery. If you would like to adopt me please fill out an online application at saveadog.org. At the shelter before he went into foster care, he took a very shy Pitbull dog under his wing. He would encourage the dog to play and to join the others in playtimes. He would do best in home without cats. Many is a very special boy. He knows sit, Go for Walk, Dinner, Breakfast. He hasn't been tested with cats, but is very gentle and would likely be fine. Will be available to see at Tuesday Meet and Greet 7/31/18. Mikey is a sweet lab mix that came to us from Louisiana. He runs around the yard playing with his sister, Myrtle. Mikey has started learning some basic obedience and is a smart little guy. If you are interested in adopting Mikey please fill out our online application at www.saveadog.org/applytoadopt.asp. 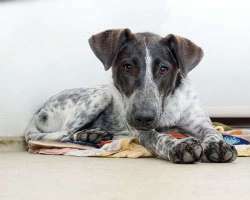 Nala is a six month old active pup who looks like a German Short-haired Pointer mix who weighs 25 pounds. She's just a pup so is good with dogs kids and people. She's being Crate trained and is easy to train as she is very food motivated and super smart. When rescued she was very under weight. She jumps up but we're working on that. She loves playing with toys and swimming. She's available Sat the 11th. She's going to need a yard, not an apartment. 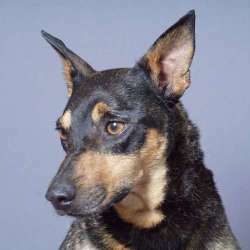 Another dog to play with or an active adopter would ensure a successful placement for her. Nilla came to us from Georgia looking for her forever home. She loves to be cuddled up in your lap or resting her head on your shoulder and giving lots of kisses. 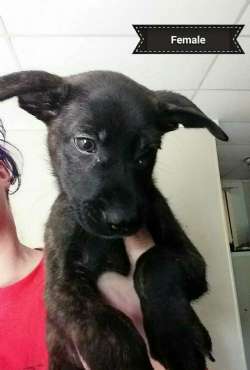 She is a baby and would need someone that is home to work on all the things that come with a new puppy, like obedience and house training. If you are interested in adopting Nilla fill out our online application at www.saveadog.org/applytoadopt.asp. Phillip and his four siblings, Charles, Edward, Charming and Henry came to us from Louisiana with their Mom, Princess. 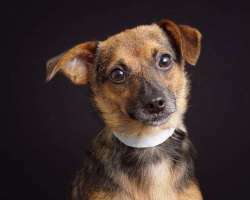 Princess is a small Heeler/Terrier mix who is super outgoing. They are young and need a stay at home or part time schedule for training and socialization. If interested in adopting please fill out our online application. Will be available to see at Tuesday Meet and Greet 7/31/18. Princess came to us from Louisiana with her five puppies. She is SUPER affectionate and loves to get attention! 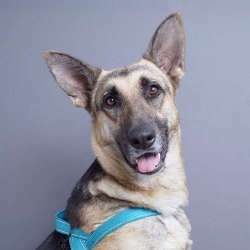 She is quiet in her kennel and enjoys any time she has with people. She would love to share a couch with you or accompany you on walks. 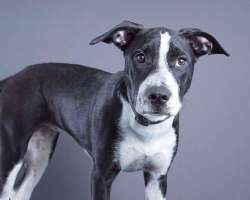 If you are interested in adopting please fill out an online application at www.saveadog.org/applytoadopt.asp. Will be available to see at Tuesday Meet and Greet 7/31/18. This tiny little girl weighs in at 6 lbs. She was surrendered to a shelter in Texas due to a treatable skin condition, demodex. Princess is completely healed and now has a beautiful coat of silky white fur. 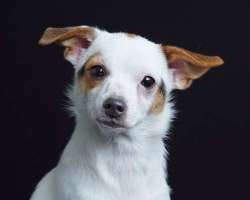 Princess is good friends with Wilbur, a Chihuahua mix, and loves to take naps in a soft bed, wrestle with toys and her favorite spot is relaxing on your lap. This cutie walks well on leash but is just as happy being carried! You will quickly fall in love with this Princess. 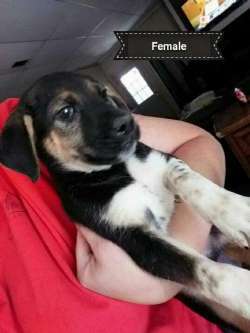 If you are interested in adopting please fill out our online application at www.saveadog.org/applytoadopt.asp. Available after 8/6/18. It would be great if Princess and Wilbur could be placed together. 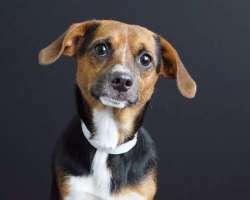 Spud is a small Beagle mix whose owner abandoned over the winter with no heat. It took awhile to convince the politicians to release Spud and his friends, but alas he is free to find a loving home. He weighs 17 lbs and very playful. He loves to run and jump around with his friends. 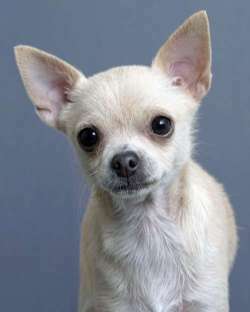 If you are interested in adopting Spud, please fill out our online application at www.saveadog.org/applytoadopt.asp. Available after 8/3/18. Donations gladly accepted to help pay for their spays and neuters. Looking for a lovely dog who has lots of experience living in a home? Sugar is your girl! Sugar was adopted from one of our rescue partners in the south in 2014 to a single guy. She was the love of his life and they went everywhere together. Then he got a girlfriend who didn't like dogs. They got married and had a baby so Sugar had to go. It's a heart-breaking story, but you can turn it into a happy ending. Sugar deserves a home of her own. She has lived in the foster home with other dogs, but it would be great if she could be the Princess or with an older male dog. You can see from the picture that she walks nicely on leash with other dogs. Like any mature female dog, she won't want a dog right up in her face, but if intros are done right, she's fine. Sugar is a sweet, sensitive gal who has a lot of pep in her step. She is FANTASTIC on a leash - very loose leash walker and excellent about passing by other people, strollers, dogs, bikers, skateboarders, etc without issue. She loves to tear out the stuffing in toys and play fetch with squeaky balls. She won't hop onto furniture without being invited, but REALLY loves the opportunity to hop up and snuggle on in. She knows many obedience commands too. She will settle in quickly and smoothly. She is available on 8/7/18. 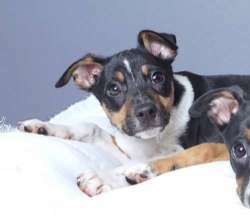 Thunder and Nilla are 4 month old Shih Tzu / Terrier mixes. They will need loving adopters who have the time and experience. Stay at home or work from home required. No phone calls, please. Applicants will be invited once we receive your application. Local adopters only, please, due to their small size and age. Available after 8/21/18. VIKA IS ADOPTED! Vika found a wonderful home, much thanks to Alison Kaiser of Country Canine Dog Daycare in Acton who took her home to foster and train her. The training really paid off and now she's in her new home! Much thanks to all the volunteers who were her champions through her long stay at the shelter. Vika loves everyone she meets, humanwise, anyway. Throw a dozen teenagers at her and she is in her glory. At 15 months, she's just a teen herself! She needs looks like a Shepherd/Husky mix and has traits of both -- she hates the crate, but we have worked with her and she tolerates it. She loves puppies and smaller dogs too. We would want her adopter to continue with positive training once she goes home. She would do best in a house with a fenced in yard. 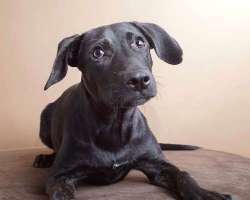 If you would like to meet Vika please go to http://www.saveadog.org/applytoadopt.asp to fill out an online application. Hi - my name is Wilbur and I'm a cute little guy that came from a shelter in Texas. My best doggie friend is Princess. She and I love to wrestle with toys and snuggle on a nice soft bed. I am hoping to find my forever home and would enjoy having a dog friend around to keep me company. Cats? I'm fine with them - let's face it - they are bigger than I am so I just stay out of their way! If you are interested in adopting me please fill out an online application at www.saveadog.org/applytoadopt.asp. Available after 8/6/18. It would be great if Princess and Wilbur could be placed together. Wishbone is a little guy weighing in at 8 lbs. He came to us from a rural area where his owner abandoned him, moving out of the house and leaving the dogs behind. There was no heat and the dogs were not fed regularly. Thanks to the persistence of a neighbor, the politicians finally released the dogs to rescue. 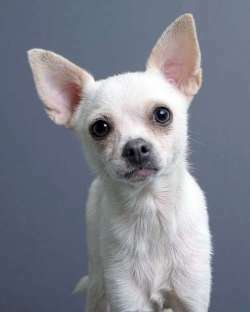 Wishbone is looking for his forever home who will be loving and not abandon him. 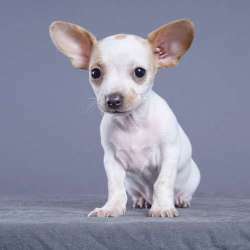 If you are interested in adopting Wishbone please fill out our online application at www.saveadog.org/applytoadopt.asp. Available after 8/3/18.